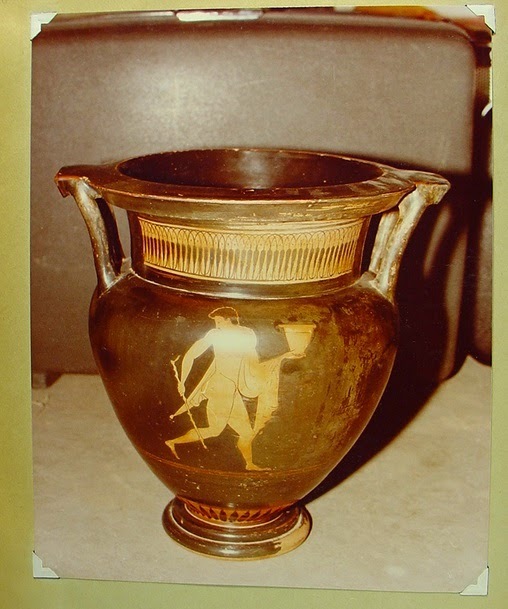 Swingler and the Getty: "we need things to fill it up"
The issue about the krater at auction at Christie's this week and linked to David Swingler (by Dr Christos Tsirogiannis) continues to develop. Frel became well-known for his ability to drain the living rooms of wealthy collectors. "He cried for them; he whined for them," said David Swingler, a Los Angeles archeologist and collector. "He would say to me, 'Please, we have a Roman villa, we need things to fill it up.' He was constantly asking for knickknacky things for the study collection." It would be interesting to know which of the Getty pieces are linked to Swingler.